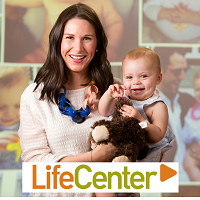 LifeCenter's mission is to save, enhance and change lives through organ and tissue donation. As a Donate Life Organization and as an institutional member of the United Network for Organ Sharing (UNOS) we strive to provide a second chance at life for the more than 118,000 men, women and children who are awaiting a lifesaving organ transplant or a life enhancing tissue donation. While coordinating the recovery of organ and tissue for transplant, LifeCenter provides the chance to honor and respect the selfless decision to register as a donor.